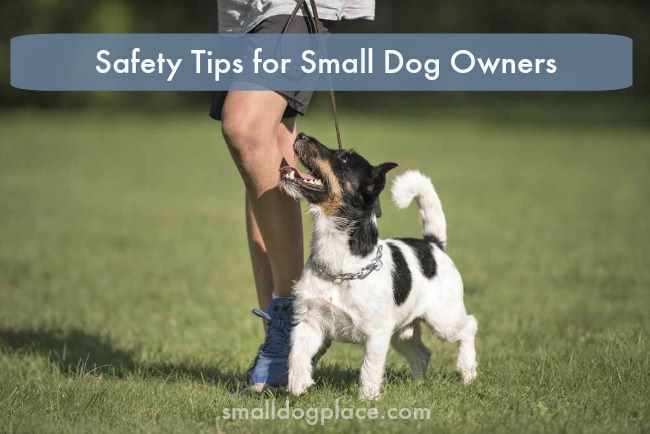 Small dog safety should be on the minds of anyone who lives with and loves small dogs. Of course, we want to keep them safe, but what does that really mean? Want to Skip the Introduction and Go Directly to the Articles? Many small dogs don’t seem to realize they are small and bring harm upon themselves especially when it comes to bigger stronger dogs. Even patient, loving big dogs grow weary of snappy aggressive little dogs. They get out the front door and head straight for the road. They nibble on things that can make them sick and drink out of puddles full of chemicals. They jump off furniture oblivious to any dangers or leap out of our arms. They accidentally get stepped on, kicked or rolled over on simply because of their size. Sadly, they can also be the target of people who have little regard for small life. Our job is to keep them safe without coddling them to the point we create little monsters that lead to Small Dog Syndrome. Never giving them an opportunity to experience life on their own four paws is just as bad as not protecting them at all. Finding a happy medium where the dog can enjoy the world and its wonders and yet remain safe is the ideal solution. Training and socialization are two things that every responsible dog owner should do for their dog. A well trained dog that comes when called drops a questionable item when commanded or leaves a poisonous substance when requested is less likely to get into trouble. Dogs that wait at the door are not likely to run out the house and head for the road. Training is probably the number one thing that you can do as a dog owner to keep your dog safe. 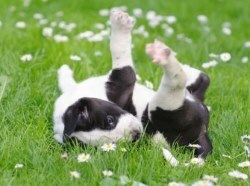 Socializing a young puppy will keep him happy and well adjusted. Well, balanced dogs are less likely to get into fights with other dogs. You will be more willing to take your dog with you wherever you go knowing he will stay with you happy and safe. What else should a new dog owner know about keeping their dog safe? 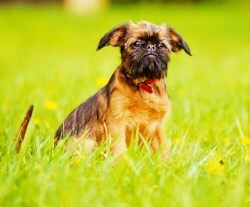 Small dogs enjoy daily walks and some need more than one walk per day. 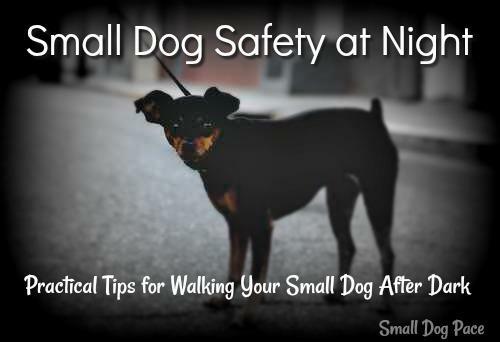 If you plan to take your small dog out after dark, bone up on this practical safety tips to keep both you and your dog safe when the sun is not shining. Your small dog depends on you to keep him safe and sound no matter what the situation. From Supervision to training, inside and out, and with all types of people and animals, dogs depend on us to protect them from themselves. 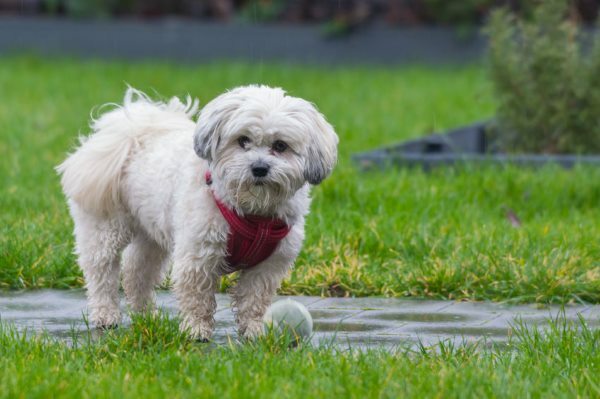 Here are six quick tips that will help you keep your small dog safe year round. There's nothing more natural than a child and his dog. 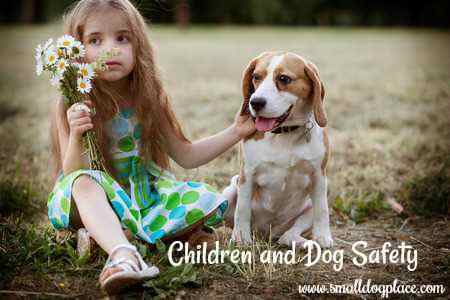 Children and Dogs have enjoyed each other's companionship for eons. Children nor dogs are born knowing how to relate to each other in a safe manner. This article looks at all the reasons why problems occur and delves into ways that an adult can teach a young child how to enjoy each other's company and still stay safe. Before a new puppy comes home, new puppy owners should puppy proof their house? This protects your property from an overly curious puppy and keeps the puppy safe from things likely to cause harm. Don’t stop with the inside of your house, though, puppy proof your yard as well. If your puppy will be spending time outdoors, anything dangerous to him should be removed. 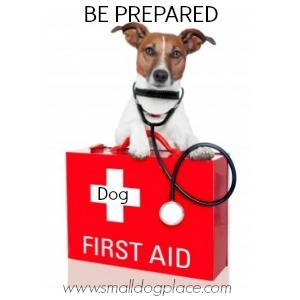 Having a first aid kit and a general knowledge of canine first aid techniques can do wonders to put our mind at ease. Even if you never need to use a single item in your kit, knowing it is there and ready will allow you to relax. No one likes emergencies, but when you are prepared, the outcome is brighter. 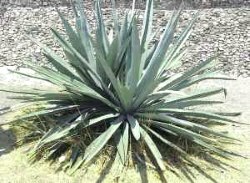 There are many plants both inside and out that are poisonous to dogs. Learn more about the houseplants and shrubbery that will make your dog sick or worse. 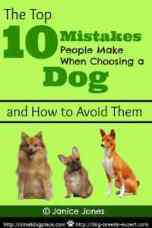 Knowing which ones to avoid will give you peace of mind and keep your dog safe. We love sharing snacks with our dogs, and most foods we eat are safe for dogs too. 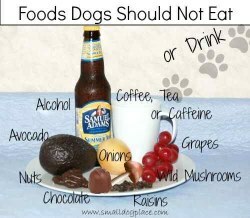 Not all human foods, however, should be shared with our dogs. So the next time you want to give your dog a bite of your Oreo cookie, think again. 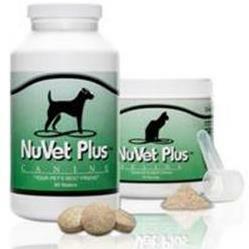 It has ingredients in it that dogs should never ingest. Holidays present all sorts of dangers. Christmas especially is a time when accidents occur because we get busy and distracted. More people in the house means that there are more chances for dogs to get slipped things they shouldn’t. 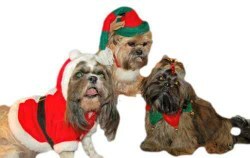 Many of the sights of Christmas we love can be dangerous to little dogs. While holidays can be problematic, so to can seasonal changes, such as transitioning from winter to springtime. People are happy to see spring arrive and often begin enjoying the season without thinking about the little hazards that come with seasonal changes. Summertime is also a season when many accidents occur. In some places, the heat is the problem and dogs left outdoors can be exposed to heat stroke which can be fatal if not treated. How do you keep your dog safe at the beach? At the Pool? Each new destination poses new adventures and fun, but it also means new ways for your dog to get hurt. The cold and ice of winter presents additional stresses and dangers to your dog. Pets can get frostbite and hypothermia. 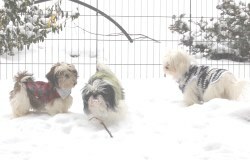 Salt on streets and antifreeze in the garage can generate even more dangers to your small dog. Vacations and Travel can be challenging too. 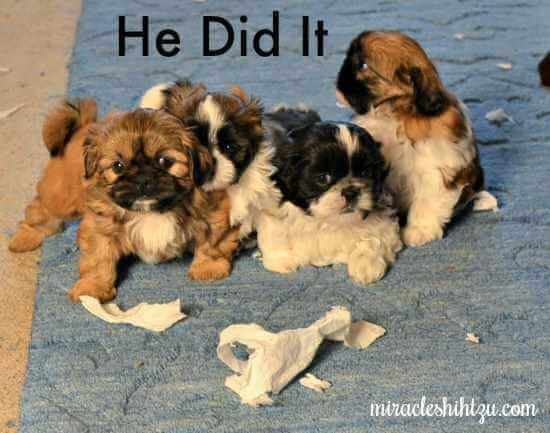 We may want our little dogs by our sides as we embark on a car or plane trip. 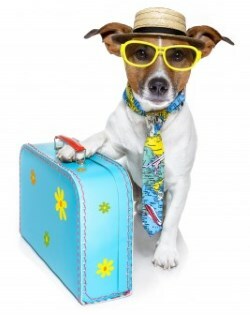 Without proper planning a fun vacation can turn sour quickly if something happens to our small dog. Stay safe whether you travel by car, bus, train or plane. Microchipping can save your dog if she gets lost. 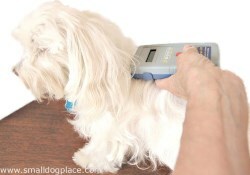 Another safety tip for Small Dog Place is to assure that your dog always has some means of identification. Dog identification tags, tattoos or microchips can help bring your lost dog back to you. Wearing a harness will keep your small dog safe during walks, hikes and other types of outings. While dogs need collars to hold tags, a leash attached to a well fitted harness will be the best way to keep your dog safe and avoid injury to necks and backs. This guide will show you how to measure and place a harness so your dog will feel comfortable and protected.